Hummingbird Bakery and Snog Frozen Yoghurt Store. The two best places to satisfy your sweet tooth in London. They go pretty well together ... I recommend a Red Velvet Cupcake and the Natural Frozen Yoghurt with strawberries and mini Oreos! 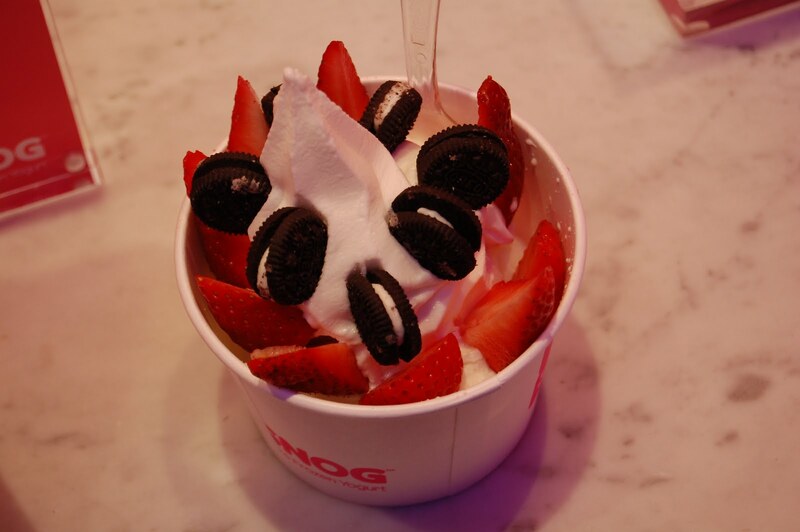 I love snog frozen yoghurt :) My favourite is blueberry and chocolate brownie!